Welcome to my private practice! Competent and personal care is my primary goal in the treatment of patients who are in need of orthopedic healthcare. Therefore, I can provide latest state-of-the-art diagnostics and treatment modalities in orthopedics and orthopedic surgery. 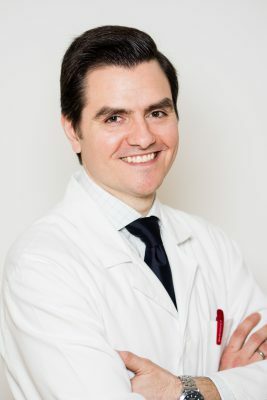 Besides treating general adult orthopedic pathologies, I am specialized in pediatric orthopedic surgery and hand surgery, working as an attending surgeon at the Pediatric Orthopedic Department of the Orthopedic Hospital Vienna-Speising. For me and my team it is essential to guarantee a pleasant atmosphere and enough time for your assessment and consultation. In my private practice I can offer plenty of time to create an appropriate and customized treatment plan for you or your child. In case that a surgical intervention is required, it will be performed at the Orthopedic Hospital Vienna-Speising – one of the top-rated orthopedic centers in Europe. It would be a great pleasure to welcome you in my private practice!